Creating websites is all about delivering experiences that delight and engage users, and for forward-thinking businesses, one of the simplest ways to achieve this is with social login. Social login allows users to register and log in to websites using their existing information from social accounts, such as Facebook, Twitter and Google+. Not only does it streamline the registration process for end users – no need to fill out a form or remember yet another password – but there are benefits for site owners, too. It lets you gather more accurate data about your users including verified email addresses, their location, gender and more. 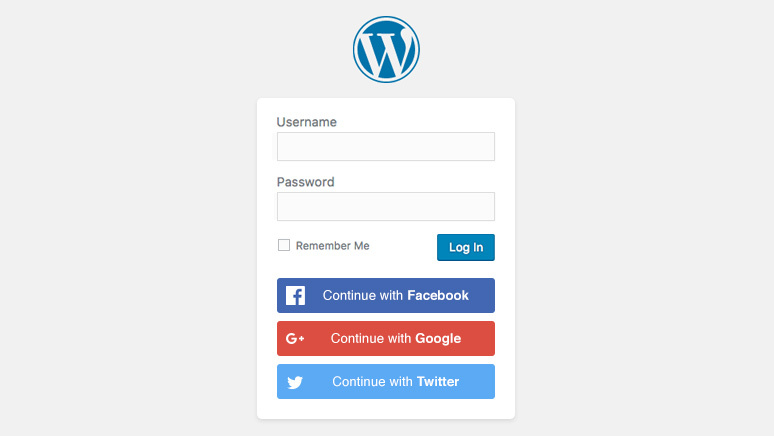 If you’re thinking about adding social login to your WordPress site, here are five things you need to know. And when you’re ready to try it out, scroll down for a walkthrough on how to add it to your site with the free Nextend Social Login plugin. There’s a lot of resistance toward the traditional registration process, so much so that 54% of people may leave a site when they see a form and never come back. These users aren’t just hesitating when they see a form – they’re actually getting irritated and closing browser tabs. While users generally expect a seamless web experience, it’s more so the case for Millennials. 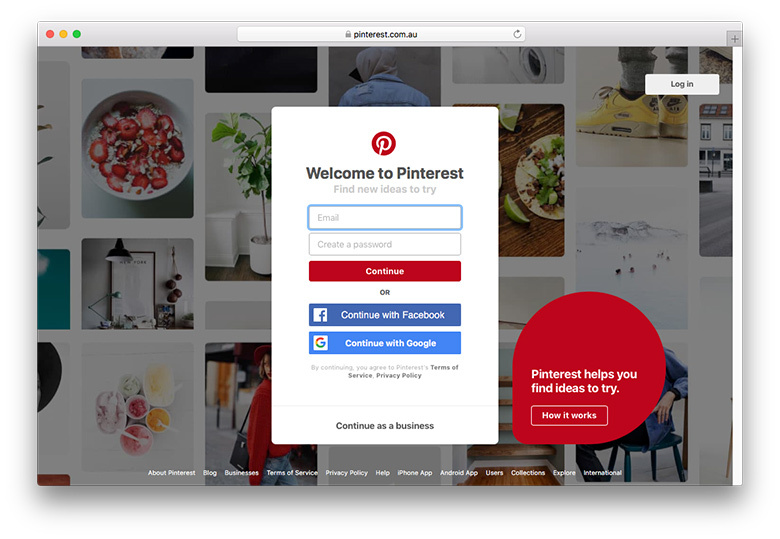 They’re familiar with social login and expect it because so many sites now offer it. They also know that the registration process can be completed in one-click with social login, saving a bunch of their time. So when you don’t offer it, they feel like you’re wasting their time. Take Pinterest, for example. When you land on the homepage for the first time, you’re given the option to sign up the old-fashioned way with your email, or via social login with Facebook or Google+. Giving users a choice between spending time entering their details manually and one-click sign up just makes sense. The wonderful thing about social login is that in one-click your users can log in and get on with browsing your site. They don’t need to remember a username and password because it’s all taken care of. … the feeling experienced by many people who are required to remember an excessive number of passwords as part of their daily routine. Social login makes users’ lives easier – and ensures they spend more time using your website rather than trying to remember their login credentials. Thanks to password fatigue, the odds are stacked against users who’ve signed up to hundreds, if not thousands, of websites in their lifetime. According to Blue Research, a whopping 90% of users admit they’ve left a website when they’ve forgotten their password or log in information, rather than answer security information or re-setting their password. What’s alarming about that figure is it’s up from 45% in 2010. I’m totally guilty of doing this 🙋. I’m also guilty of using the same security question for every site, so when I can’t use my go-to question for a particular site and late can’t remember what I originally entered, I’ll just abandon the account. Simple as that. Here’s an example that should get you thinking: MailChimp experienced 340k+ failed login attempts in just one month during 2012. That’s a whole lot of people who couldn’t remember their username and password, or simply mistyped their information. The figure, which the email service described as “disturbing” and “depressing” prompted them to add social login to their site. This led to a huge 66% decrease in failure rates, with further decreases month-on-month. Thanks to social login, there’s zero chance of users forgetting their login details because they don’t have to remember them in the first place. Here’s an alarming statistic: 88% of users admit to entering fake information or leaving forms incomplete when creating a new account on a website. And this figure is on the rise, with 76% making this admission in 2010. With more and more users concerned about privacy, it’s no surprise they would avoid sharing their personal information online. But the problem is, it presents a catch-22: research shows 70% of users expect personalized online experiences. But how are you supposed to personalize and provide better experiences when the data users give you is fake? When a user signs up to your website via social login, their information has already been verified. It’s quality data about their gender, age, interests and other details that you can be confident is correct. With this information, you can provide experiences that are more in tune with your users’ and tailored to meet their needs. Have you ever shopped online and reached the checkout process only to abandon it because you were forced to register for a new account and manually fill in a form? This is one of the main reasons why I tend to shop with only a few select online stores. After filling in my billing information and my shipping information, you’re telling me I have to fill in a registration form as well? No thanks! When social login is integrated with WooCommerce checkout, it allows users to register and login seamlessly without having to leave their cart. It means their shopping experience isn’t interrupted and they can focus on completing their purchase without distractions. Use profiles photos from social accounts as avatars. 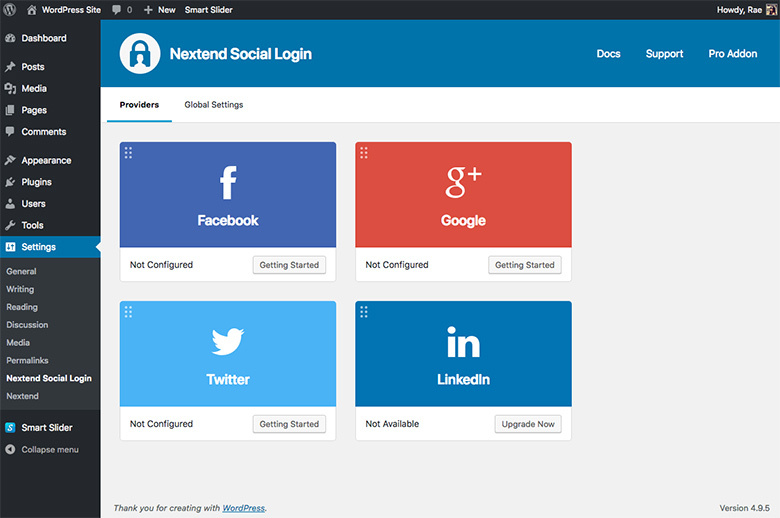 First up, download Nextend Social Login, activate and install it. Once activated, go to Settings > Nextend Social Login. 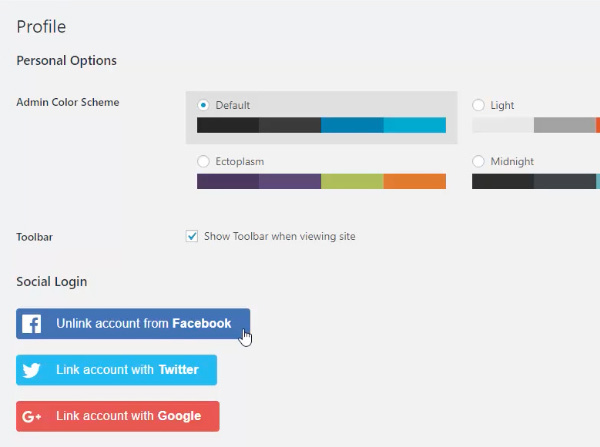 From this dashboard, you can configure the settings for the social platforms you want to use for your site. When you click Getting Started underneath each social option, you’re directed to detailed setup instructions to help you link and authorize your website. In the case of Facebook, for example, you need to create a developer app that enables your site to authorize user accounts via Facebook. Once you’ve set up and enabled one or more social platforms, social login buttons will appear on your site’s login form and your users can start logging in with their social accounts. And that’s all you need to do! 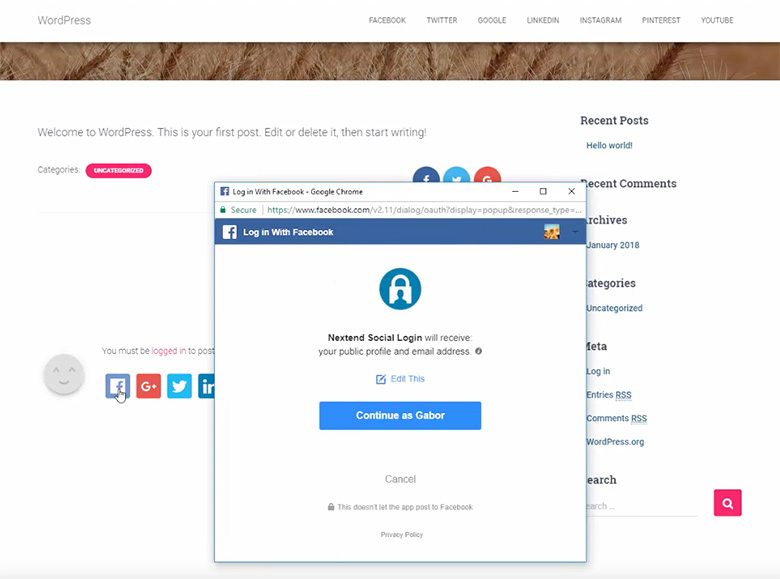 Social Login is set up and ready to use on your WordPress site. In the plugin’s Global Settings, you can control whether or now you want to show login buttons on the login page, on your registration form, and embedded in login forms. Once logged in, users can easily link and unlink social accounts in their profile settings. This allows them to choose which social accounts they want to login with and unlink any accounts they might no longer be using. With the Pro Addon of Nextend Social Login, you can add WordPress social login buttons to the comments section of your blog posts. For users who put off commenting because they have to waste time logging in, one-click login is a simple way to encourage users to join in the conversation. 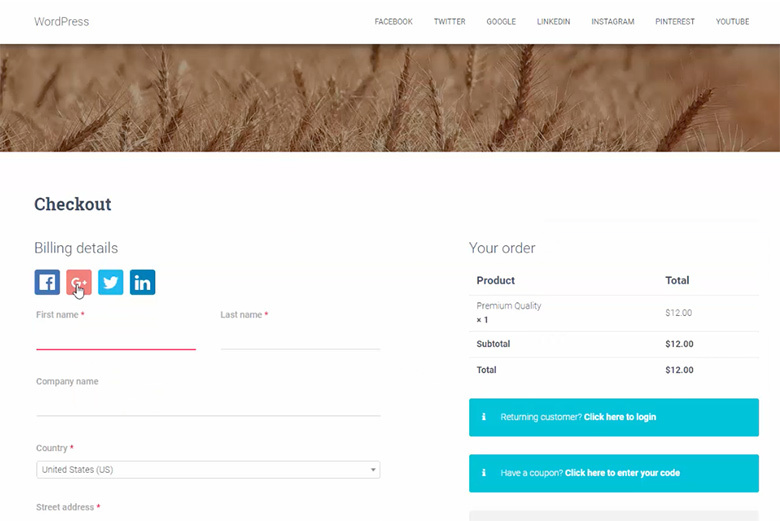 Another great feature of the Pro Addon is that you can add social login buttons to your WooCommerce checkout. For users like me who loathe having to create a new account when buying something online, one-click social login lets users get on with completing their purchase without interruptions. For each social platform, you can update labels and even create custom buttons. The pro version offers even more button styles and layouts. If you were considering adding social login to your WordPress site when you started reading this article, hopefully I’ve convinced you to implement it. For little effort on your part, there are so many benefits for both you and your users. Adding WordPress social login provides a more streamlined experience for users who have come to expect this feature when signing up to new websites. It takes no time at all to set up and once it’s up and running, your users will immediately enjoy the benefits. 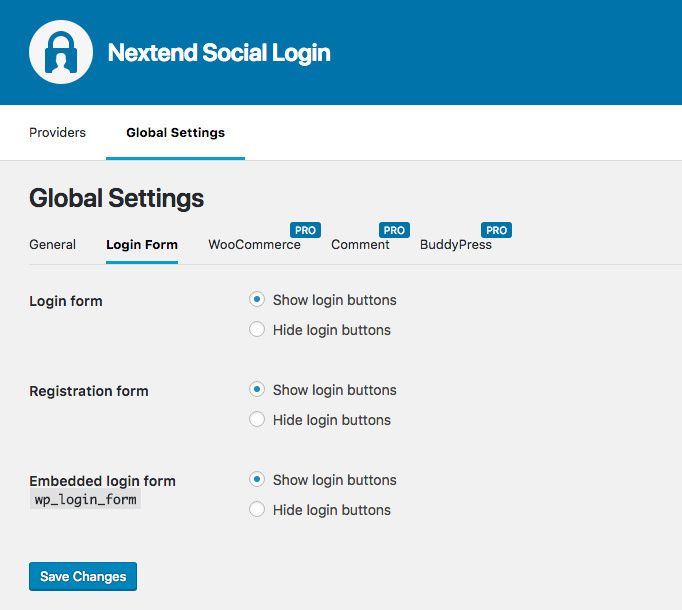 If you have any questions about using Nextend Social Login, let us know in the comments!